The Queensferry Crossing has improved the reliability of journeys across the Forth according to new analysis which will surprise motorists regularly caught up in traffic hold-ups. Transport Scotland said the Road Bridge would have closed to high-sided vehicles on 14 occasions in the year since the £1.35bn crossing opened as restore access after an accident had reduced from five hours to one hour. This because the UK’s tallest bridge includes wind shields and hard shoulders. Michael Matheson, Transport, Infrastructure and Connectivity Secretary, said: “The recent Audit Scotland report recognised the Queensferry Crossing as having delivered its objective of providing a more reliable road link between the Lothians and Fife. 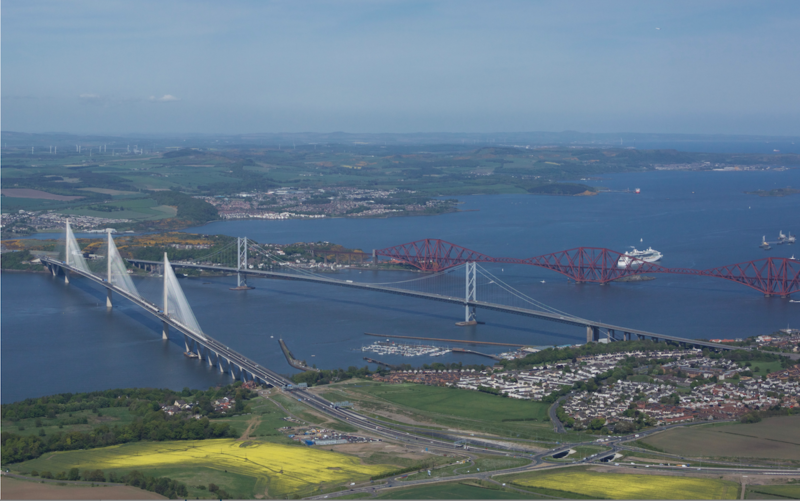 “One year on since opening the new bridge, we are today providing further evidence that shows how reliability of journeys over the Forth have improved in the last 12 months. Regular commuters, however, may beg to differ over the bridge’s ‘benefits’ with many saying the regular tailbacks suggest nothing has changed.